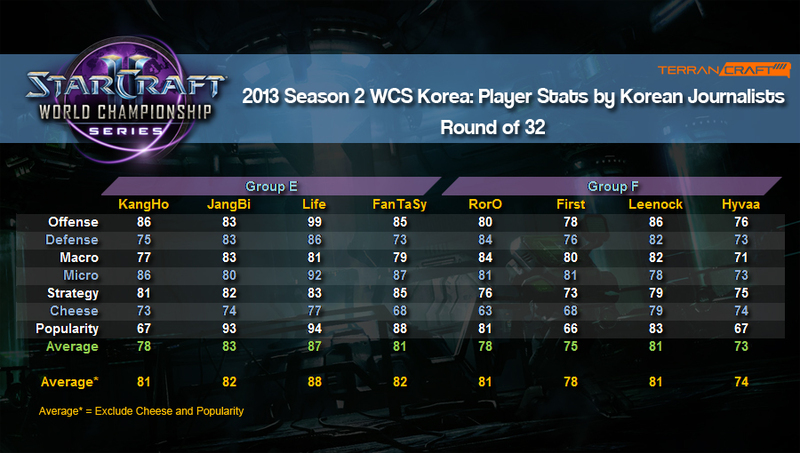 In the round of 16, the players are rated again by the Korea Journalists. 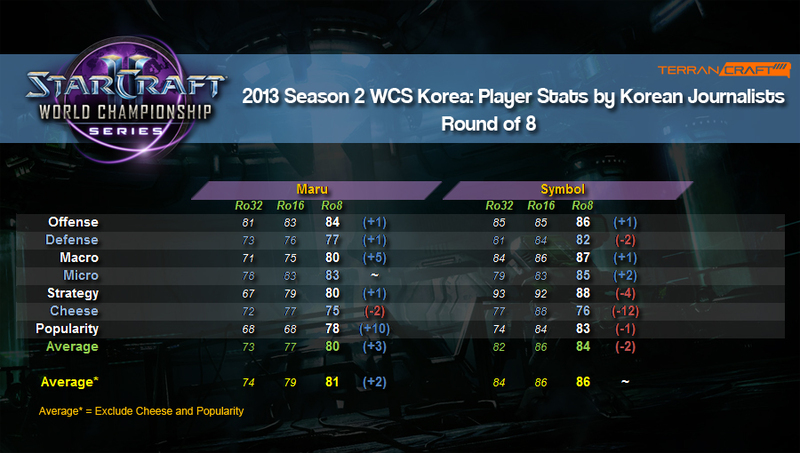 In the round of 8, the stats difference is compared between Ro32 and Ro8. The one that I compare is between Ro16 and Ro8, as it can better capture the difference of each round. As a social science student, I’m quite sensitive to rating scales in terms of their validity and reliability. I wonder what does “cheese” rating stand for. Is it the player’s likelihood to cheese or is it the success of it? Anyway, just take these stats with a pinch of salt. I cannot find any site that has the full breakdown of the stats, and hence, I will do it myself. I added another average score without including cheese and popularity. Popularity is excluded because it does not have direct implication to a player’s skill. Cheese is vague as I have mentioned earlier. 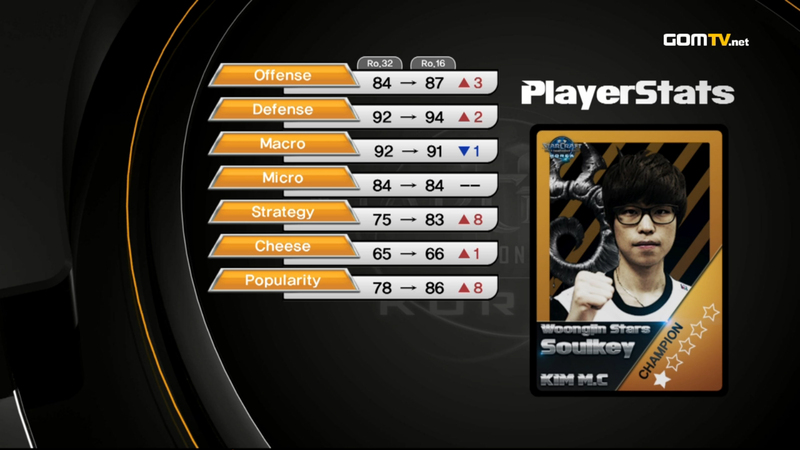 Moreover, it affects the measurement scale since a higher rating for cheese does not indicate that player is more skillful. It is just a play style in general. This post will be updated when new player stats become available. Flash started his career with mostly cheese. Shouldnt he get a couple more points there? 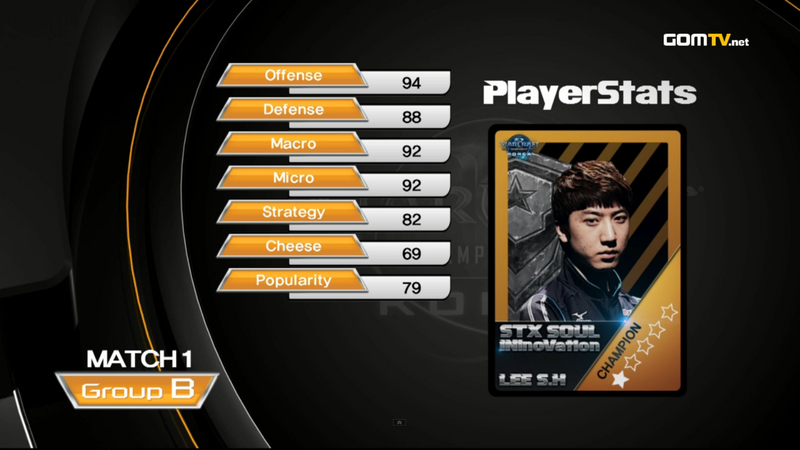 It depends on what exactly “cheese” measure in this rating. 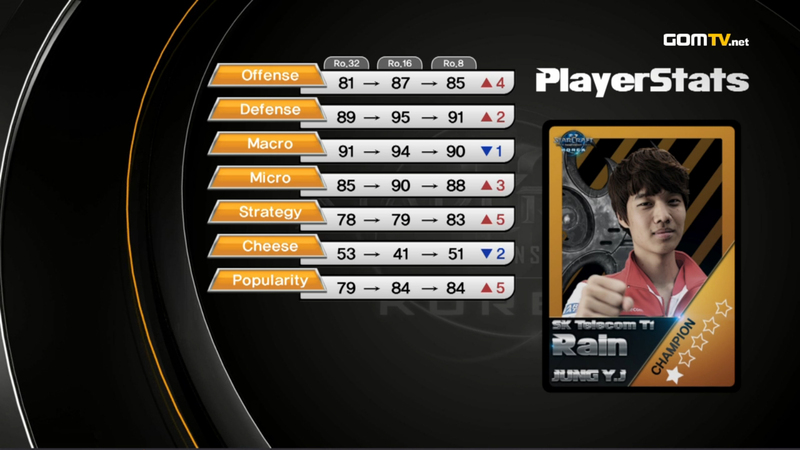 It can be how often the player cheese, or how well he cheeses etc. The term is rather vague.